Is it worth paying $4.99 for a book that could save you or your kids THOUSANDS OF DOLLARS in the future? 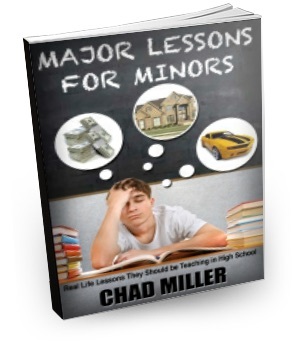 68 real life lessons for young adults such as how to ace a job interview, how to buy a car, all about insurance, how to choose college and a career, avoiding money traps, renting and buying real estate, paying taxes and voting, and how to build relationships and contacts. Between the failing education system, lack of parenting, and the addiction to social media, teens have even more of an up hill battle when it comes to their success as adults. This book was created to give young adults real world knowledge to be successful on their own and live the life they want. Available for ibooks, Kindle, Nook, and other e-readers.